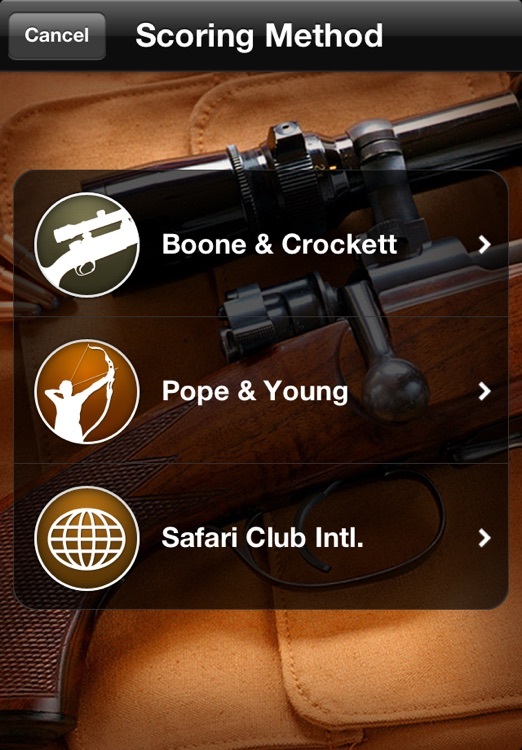 Trophy Score by Doubletough Ventures, Inc.
OFFICIAL APP OF SAFARI CLUB INTERNATIONAL AND APPROVED BY BOONE AND CROCKETT! 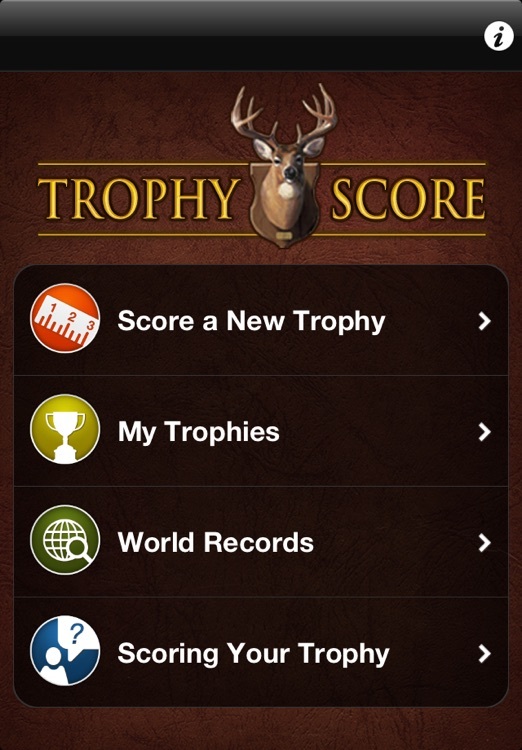 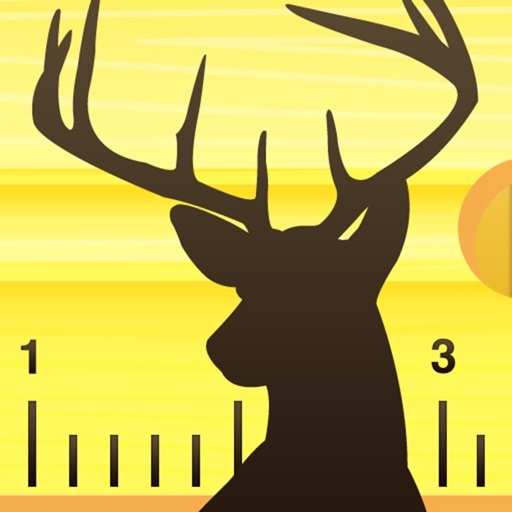 One app for all most popular trophy game species, instantly calculates gross and net score for B&C bucks & elk and syncs to worldwide record book. 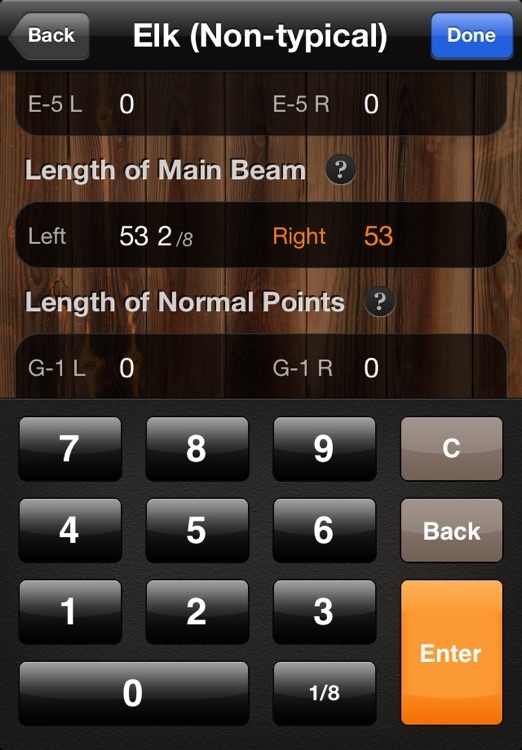 Add details like Place, Conditions and Weapon, even a photo from your iPhone photo library. 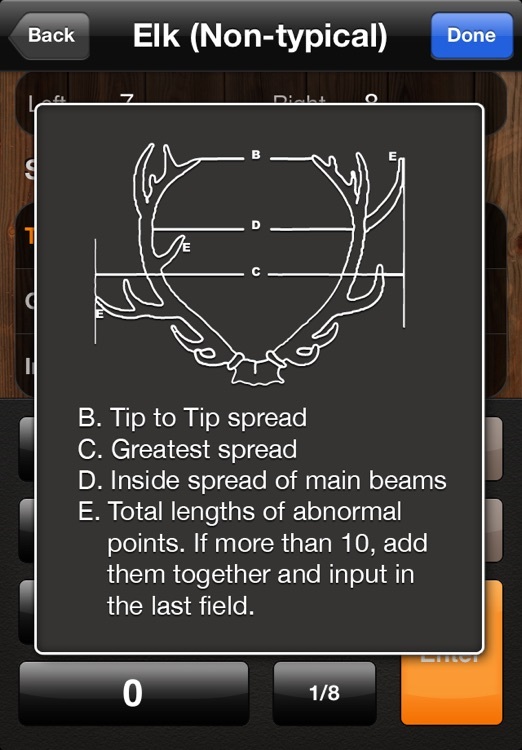 Are you a game breeder? 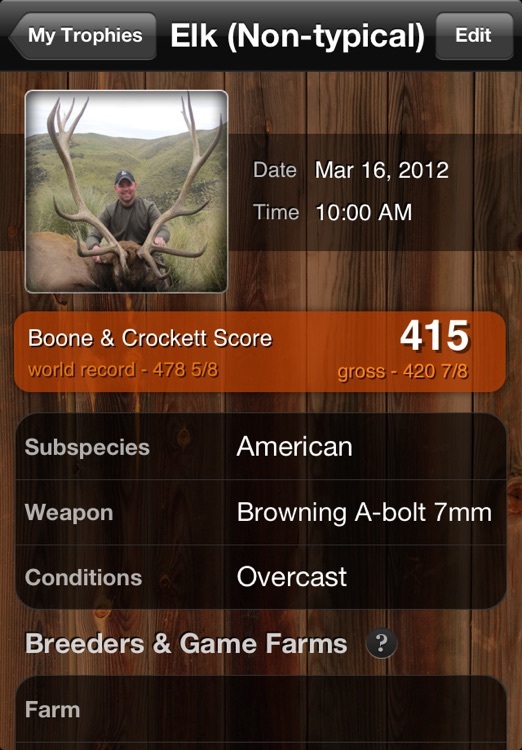 Add Game Farm and Breeder details to a record: Farm/Breeder Name, Age, Captivity Type. 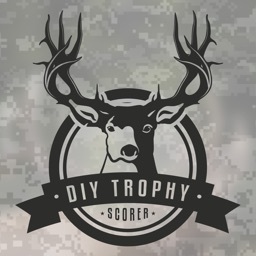 The scoring doesn't stop when the season ends: check out Trophy Score Fishing for scoring saltwater and freshwater game fish.